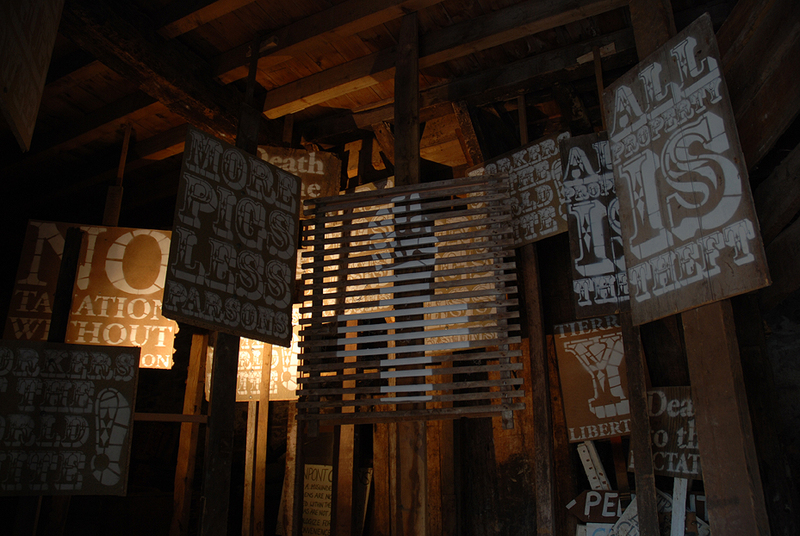 Minor Revolt was shown as part of ‘State of the Estate‘ at Penpont, a country house/estate and organic farm, near Brecon in October 2009. 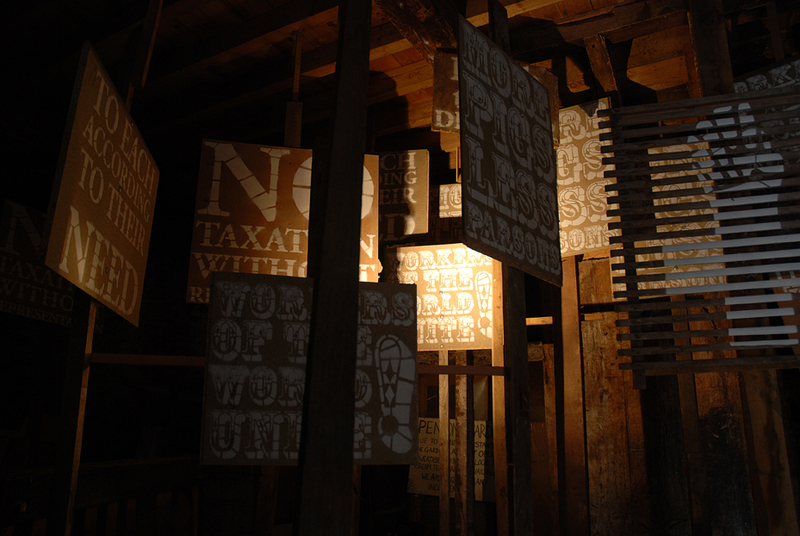 The piece was installed in a dimly-lit disused stable block, now filled with unused furniture, a broken piano, dusty home brew equipment, various poles, a giant, green polystyrene head and a barrel of hand painted signs used by the Estate to direct people to the toilets/cafe/camping etc at various past events. 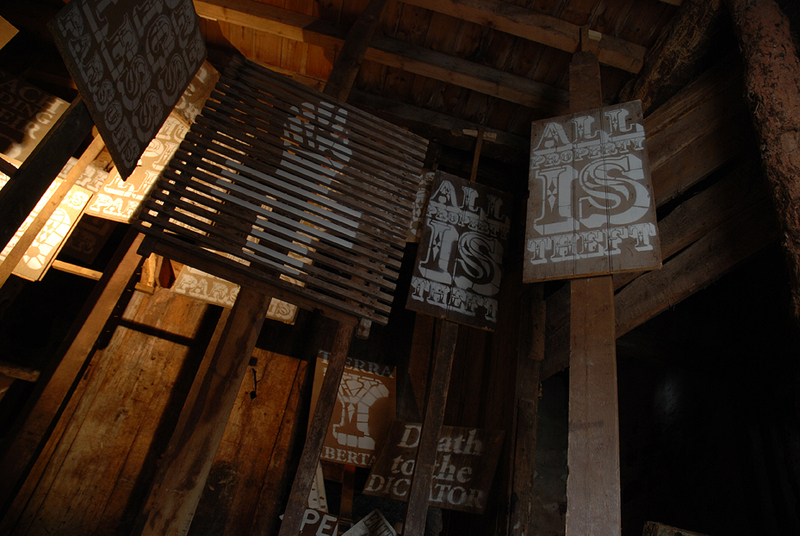 The work comprised an expansion of the collection of hand painted signs, suggesting that some kind of protest had taken place.